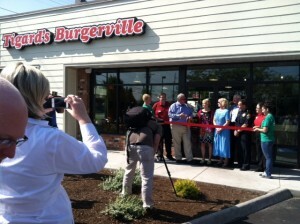 First new Burgerville in 11 years! Earlier this week we were happy to participate in the Grand Opening of the new Tigard Burgerville at 12765 SW Pacific Hwy. 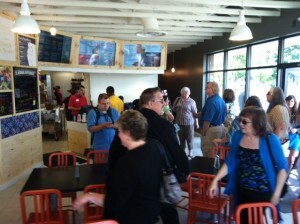 There’s a new fresh look in the interior with digital menu boards, wood slat ceilings and in true Burgerville fashion, photos of local events and people covering the walls. One of my favorite elements of the store was the hand painted mural by local artist Hadley Ferguson. Even the new chairs are 100% recycled Coke bottles! Ya gotta love Burgerville! 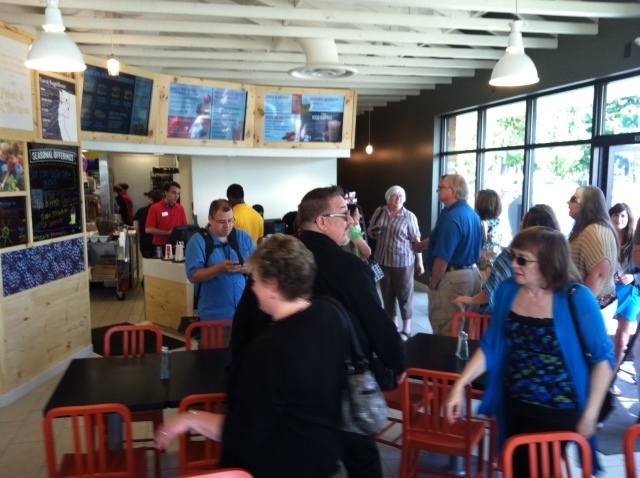 Stop by and enjoy a burger, walla walla onion rings and a raspberry shake at the newest addition to the Burgerville family.